II. My front door has been unusually barren ever since I took down my Christmas wreath. Deciding that I needed something to adorn the space, I’ve been searching for non-holiday wreaths since January to no avail. 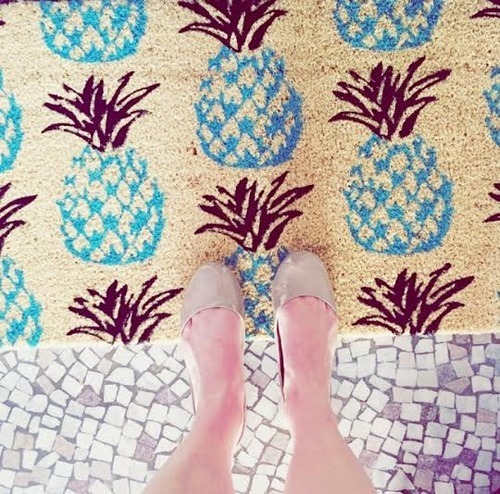 When a friend posted this adorable picture of her new doormat, my problem was solved. I’ve had a long-term love affair with pineapple decor, and enjoy the fresh take on the classic fruit with a splash of bright blue. III. Yesterday, I made the mistake of ordering a salad at brunch. As soon as my friends’ buttermilk pancakes with brown butter syrup and smoked salmon tartine arrived, I instantly regretted my choice. Even the goat cheese and truffled vinaigrette on my greens couldn’t stop me from thinking about brunch food the rest of the day. 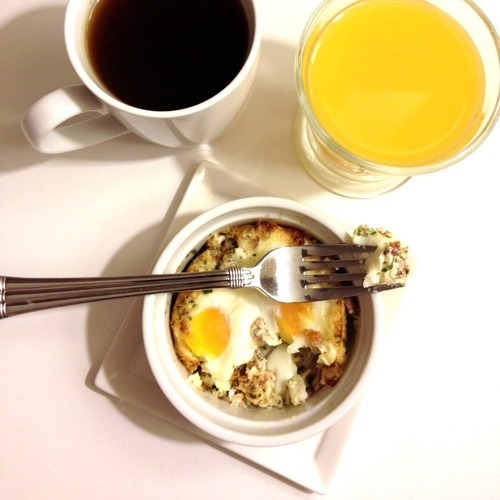 To satisfy my craving, I’m making one of my breakfast staples for dinner tonight - Eggs en Cocotte. Comprised of baked eggs, bacon, heavy cream, and herbs - this decadent dish is the perfect fix for my salad trauma. IV. Last Thursday, I threw a dinner party for all of my amazing girlfriends. Realizing how lucky I am to have so many beautiful brilliant women in my life, I wanted to bring them all together for a fun girlish evening. I didn’t have the time or space to have fifteen people at my apartment, so I booked a huge table at Don Pisto’s. 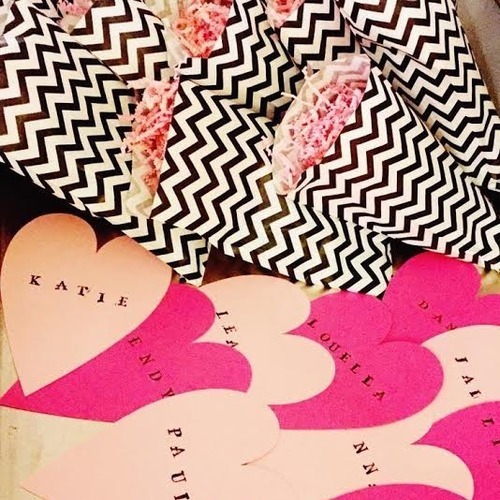 To add a little T&T touch, I made placecards and party favors for each girl, then put pink, coral, and white tissue pompoms in varying sizes down the center of the table. The favors were a hit, and so easy to put together. I found the chevron bags and pale pink crinkle paper shreds at Paper Source, and ordered whimsical childhood favorites from Fantastico and The Candy Store to fill them with - candy necklaces, shutter shades, watermelon gum balls, striped straws, and strawberry rock candy. 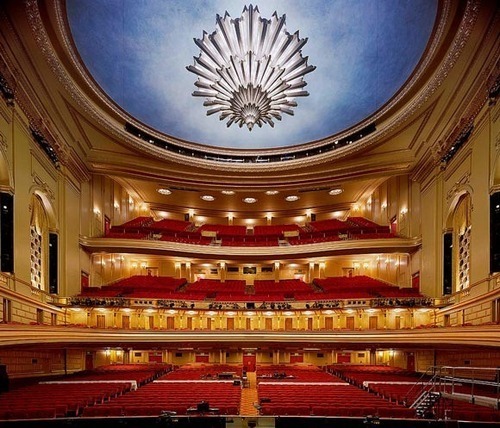 V. The San Francisco Opera young professionals board BRAVO! is hosting a fantastic event on March 12th at the War Memorial Opera House. 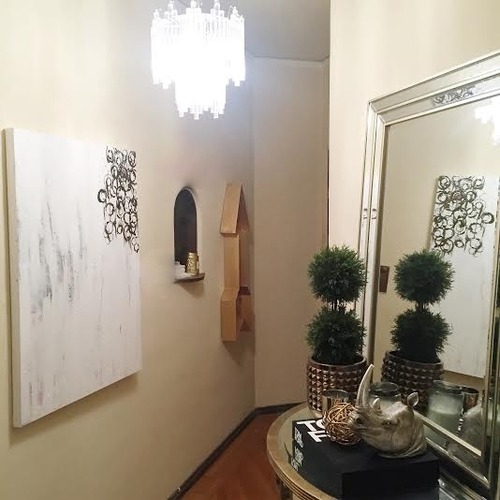 With all of the fabulous membership parties and galas put on by the various leagues in the city, it’s easy to forget to focus on the actual art. BRAVO! is fixing this by giving us a behind the scenes introduction to opera (free for both members and non-members). RSVP before they are at capacity on Eventbrite.